Sidral Mundet apple flavored soda. I stumbled upon it in the Hispanic section of my local Kroger. It was cheap too, two for a buck with the Kroger card, and oh so delicious. 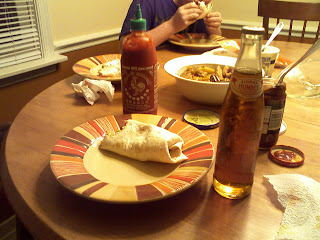 It went well with my chicken fajitas and Sriracha hot sauce. 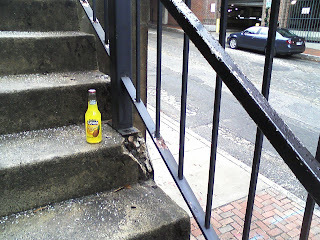 Goya pineapple soda. I'm not a big fan of pineapple unless its been cooked on top of a big juicy ham, but this soda wasn't bad. I wouldn't, however, pay the exorbitant price for it at the Chinese deli again though.